Beginning with a frantic 911 call over the opening credits, Body starts off on a solid and intriguing note, introducing us to its trio of young female characters over a Scrabble game. Their banter has a natural, mumblecore quality to it, with the added dread of knowing that something bad is going to go down. But when the plot of this nasty little psychological thriller actually kicks into high gear, the moral dilemmas start to feel strained and the film ultimately can’t deliver on the promise of its setup, with the characters making choices that garner no sympathy and are just impossible to root for. The setup is fairly simple. Bored and restless a few nights before Christmas, wild girl Cali (Alexandra Turshen) convinces her two friends Holly (Helen Rogers) and Mel (Lauren Molina) to party at an empty mansion that she claims belongs to her uncle. But they soon discover that Cali has lied to them and the house actually belongs to a family she used to babysit for, and when the groundskeeper Arthur (Larry Fessenden) comes to check on things, the girls freak out and accidentally knock him down the stairs, leaving him with a broken neck at the bottom. The three girls bicker and argue about what to do with his body, not wanting to call the police because they shouldn’t be at the property in the first place, so Cali instead hatches a macabre and sociopathic plan that threatens to dig all of their graves even deeper. The performances are all fine and the film is competently made, with first time feature directors Dan Berk and Robert Olsen showing promise in their ability to ratchet up some white knuckle tension, making it all look slick despite the shoestring budget and limited locations. But this is also a film that relies far too heavily on its characters making a series of stupid and increasingly unlikeable choices, which make no logical sense and grow tiring to watch. With a running time of just 74 minutes, Body is a small curiosity that has its moments, but is ultimately too frustrating in terms of plot to really recommend. 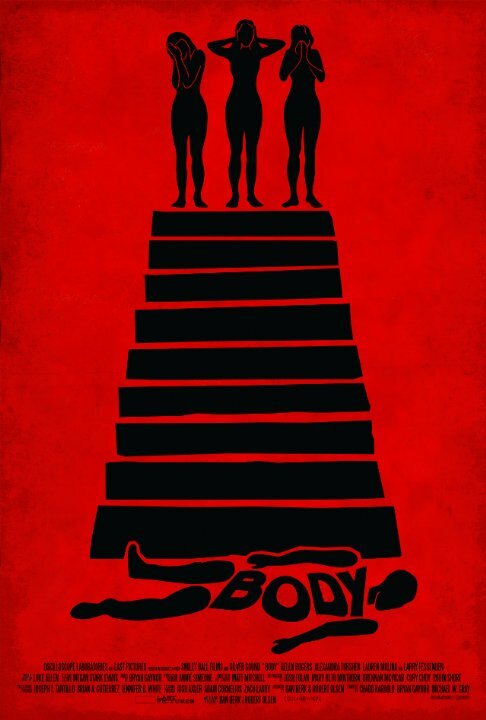 Body is now playing in limited release at the Carlton Cinema in Toronto.